Rishikesh at an elevation of 372 metres (1,745 feet) is the starting point for travelling to the Char Dham Pilgrimage - Badrinath, Kedarnath, Gangotri, and Yamunotri. 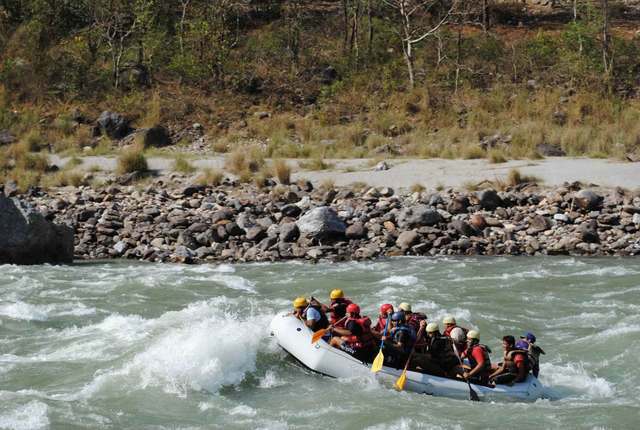 Rishikesh has become a popular spot for white water rafting enthusiasts, both for Indian as well as foreigners. The Ganges offer medium to rough rapids rated class 3 and class 4. The rafting season starts in March and ends in september. 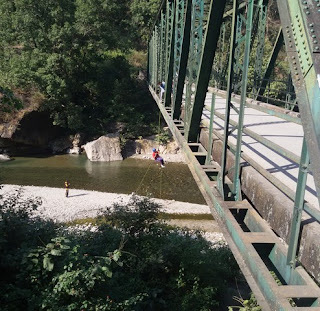 Rishikesh is also a adventure sports place for backpacking; bungee jumping; hiking; rock climbing; kayaking; rappelling; zip lining and mountain biking.